Sustainability - Walsh & Associates, Inc.
At Walsh & Associates, Inc. we encourage the active conservation of natural resources through responsible business practices. We have implemented a number of energy efficient practices and will continue to engage all employees in finding ways to improve the environmental performance of our business. 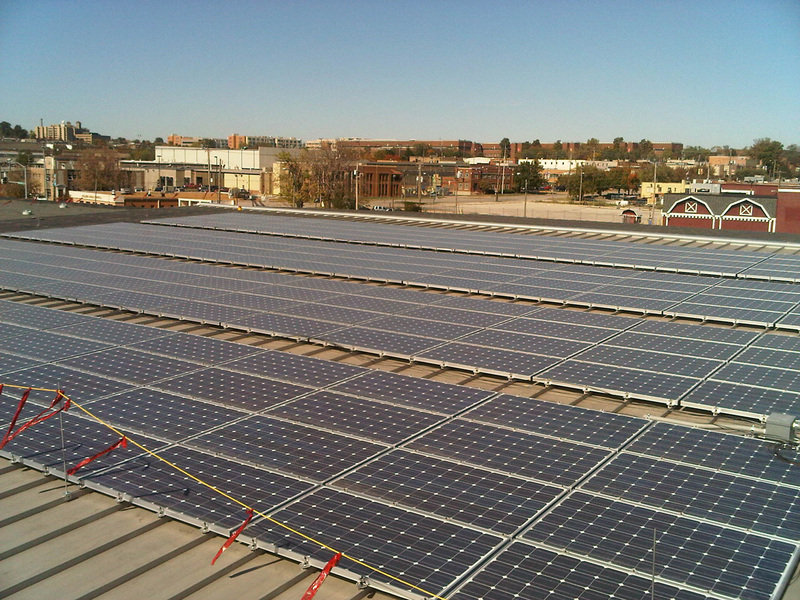 Produce over 90% of our electricity needs with our 100kW solar photovoltaic array at our St. Louis Headquarters and a 25kW solar photovoltaic array at our Kansas City, Missouri location. Earned EPA’s Energy Star Certification at our St. Louis office location and received recognition from the Missouri Department of Natural Resources for our certification and conservation efforts. Fully implemented single -stream recycling program for waste generation. Fully implemented program for utilization of recycled office products. Merit Award Recipient in the St. Louis Green Business Challenge. Upgraded lighting, use of skylights, motion sensors, hand dryers, thermostats and other measures to reduce energy consumption. Provide continual electronic recycling service to employees. Representing global manufacturers committed to sustainable business practices and offering green chemistry solutions for our client’s R & D initiatives.